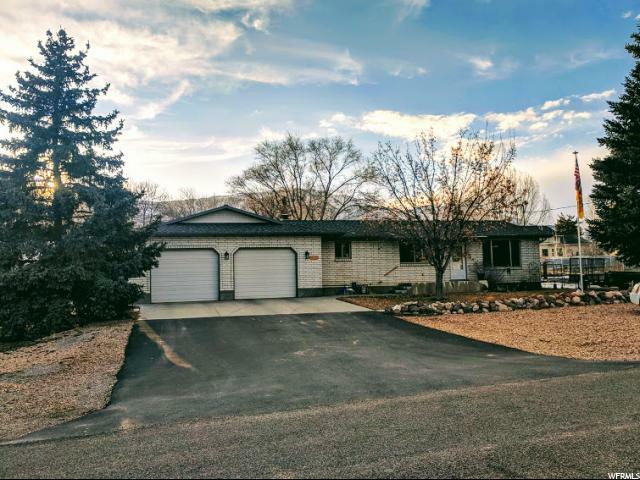 All Fountain Green homes currently listed for sale in Fountain Green as of 04/25/2019 are shown below. You can change the search criteria at any time by pressing the 'Change Search' button below. If you have any questions or you would like more information about any Fountain Green homes for sale or other Fountain Green real estate, please contact us and one of our knowledgeable Fountain Green REALTORS® would be pleased to assist you. "Well taken care of brick home with TALL pines and manicured yard. Beautiful New kitchen with Granite counter tops installed 1 year ago. New Roof 5 years ago. A LARGE double shed. The heating system is controlled in each room for economic benefits. Large workshop at the back end of the garage with a wood stove. All the cabinets in the workshop stay with the home. Basement has a wood stove with an outside entrance off the patio. Telescoping flagpole and fire pit. Gas log fireplace in the living room. Only 46 minutes to Provo while you live in the clean country air and environment of Sanpete County. Tele The refrigerator is negotiable. Buyer to verify ALL information. "